Will we soon be living in a world inspired by “Minority Report” or “Robocop,” with crimes being stopped before they happen and cybernetic-enhanced officers halting violent criminals? The short answer is: most likely not — at least in the short term. Still, some incredibly cool and inventive new technologies will have a direct impact upon world we live in and how law enforcement officers do their jobs. What’s new in law enforcement technology? Data mining and predictive analytics (using statistics to analyze and understand crime trends and future criminal activity hot spots) are already being used in cities to help reduce criminal activity in certain areas, and there are other interesting trends emerging now or right on the horizon. From body cameras to biometrics, creative “weaponry” to video analytics, the sky’s the limit for technologies meant to help enhance our police forces while keeping our cities safe and our citizens out of harm’s way. Law enforcement of the future needs weapons of the future, including new less than lethal force options and GPS tracking technology. An Acoustic Warning Signal Projector, known as A-WASP, emits a directional beam of concentrated sound meant to stun a suspect into submission using less deadly force than the more conventional methods used today. In addition to A-WASP technology, police in four states are now using what are known as GPS bullets: tracking apparatuses that police officers shoot onto a vehicle to remotely monitor its movements. These GPS bullets will help decrease the need for high speed chases and the potential for casualties and lives lost during police pursuits. Body cameras for members of law enforcement are being tested in Georgia, California, London and other parts of the world. As they record public interactions between police and citizens, these lightweight devices have the potential to increase officer accountability, as well as prevent false accusations by the public and provide evidence for use in court proceedings. In the future, Google Glass and lapel cameras may provide officers with live information feeds during high-speed pursuits using facial recognition technology and then running an image or images through databases to find more information. In addition, these devices might utilize license plate recognition technology and voice stress analysis software. Closed-circuit television (CCTV) cameras are found in many cities throughout the country and have been used to find evidence, suspects and more. For instance, they played a role in identifying the Boston Marathon bombing suspects. Today, CCTV cameras can use a video analytics system to help alert security personnel about suspicious behaviors; for example, spotting an unmarked car sitting idle in a pedestrian zone. San Diego, London and Singapore are among the cities testing pilot programs that integrate predictive analytics with video feeds. For example, the Singapore “Safe City” program is a year-long endeavor meant to ascertain just how effective these methods are: this program uses predictive analytics to search for and identify public safety concerns within crowds and traffic, as well as spot environmental threats such as fires and flooding. Through programs like this, police will be able to learn more about public safety, while gaining an increased ability to anticipate incidents and react to them as they happen. Local law enforcement agencies throughout the country could soon be looking to drones to provide surveillance during life-threatening situations and even in everyday police work. Drones have the ability to do fly0vers and enable police departments to ascertain a dangerous situation without putting any officers at risk in the process. They can also assist with activities such a search and rescue mission or finding missing persons. Though drones are a promising technology for law enforcement of the future, cost can be an issues. Small local police departments may not be able to afford drones, as they can run from about $3,000 to $25,000. 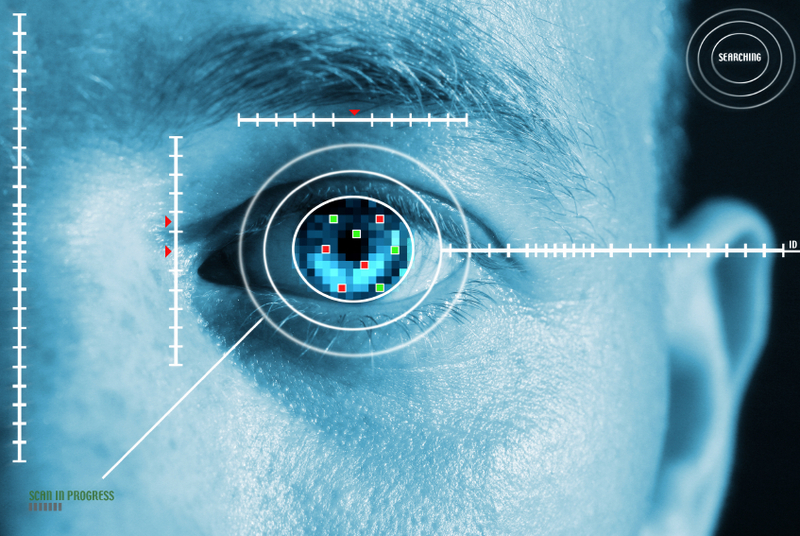 Facial recognition technology that can recognize a person’s iris has been added to the high-tech world of criminal justice. This technology is now being used to match a person to their e-passport digital image at border crossings around the world, hopefully preventing those with criminal intents from traveling and entering new countries. Additionally, facial recognition software can pick a person out of a crowd (such as at a stadium) and alert authorities to the presence of potential terrorists. What’s next in technology for law enforcement? We expect to see new advancements in forensic science, predictive analysis, big data, and other methods of streamlining and improving law enforcement in the future.